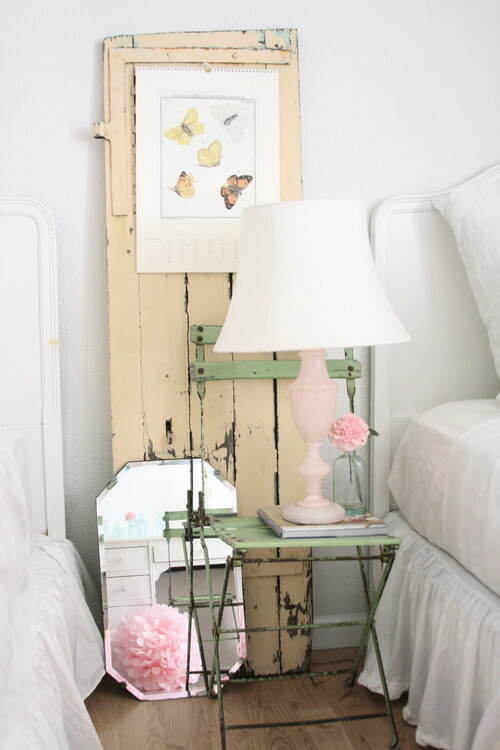 Rustic and cottagey, this dreamy, shabby chic bedroom relies mostly on neutral tones, but the pale pink flowers and celadon bring some pastels into the lovely mix. 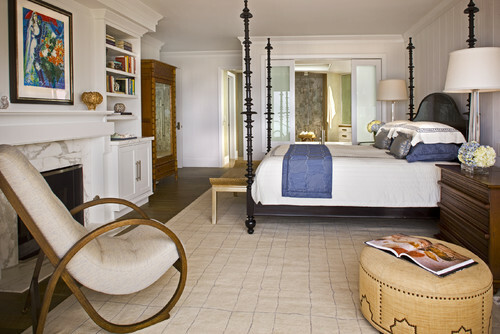 A transitional Nantucket bedroom uses muted greens with white to create a sophisticated guest space using a daybed. This cozy room boasts just the right amount of texture. Pale pink rose is the primary color in this traditional bedroom with modern touches. Whitewashed floors and lots of natural light keep the space feeling bright and airy. Baby blue keeps this room feeling elegant and classy. 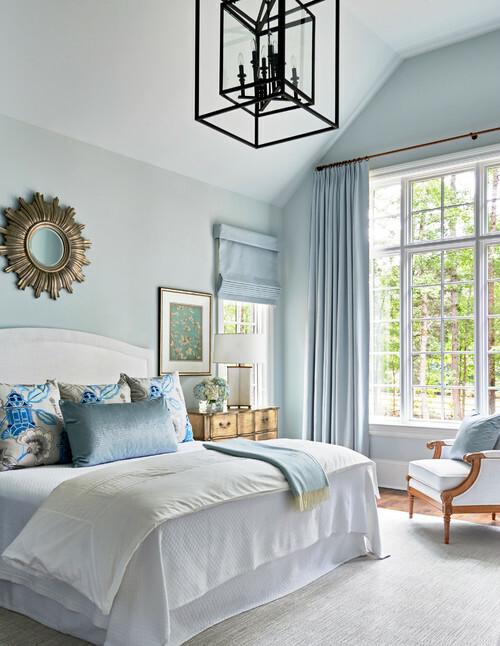 A touch of bolder blue in the throw pillows adds punch while the rest of the space stays muted. 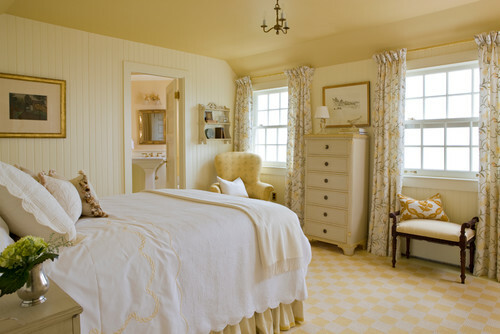 Various shades of pale yellow give this traditional room a monochromatic look. The 19th century Victorian home in Boston has been restored and expanded yet hasn’t lost its character. Brimming with pattern, the room doesn’t appear busy, but rather, soothing and homey. Which pastel color is your favorite?